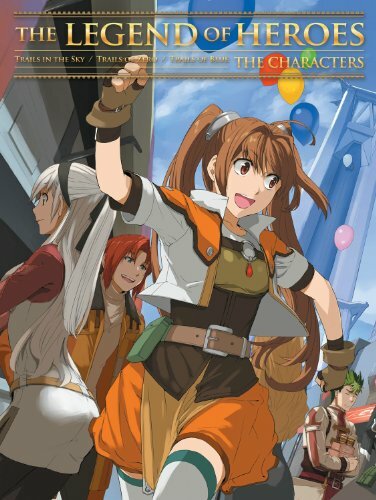 There are two artbooks for The Legend of Heroes and this one is focused on the characters. If you also get the other book The Legend of Heroes: The Illustrations, you can put the two book covers side by side to form a larger combined illustration. Pretty cool. The original is actually the Japanese artbook 英雄伝説 空・零・碧の軌跡 THE キャラクターアートブック that was released in 2012. This English edition is translated by Udon. The games featured are The Legend of Heroes VI which consist three Trails in the Sky games, and The Legend of Heroes VII which consist Trails of Blue and Trails of Zero. These games are from 2004 to 2011. It's a thick 272-page paperback artbook that's filled from cover to cover with character art. A galore of beautiful character art essentially. I like the characters from VII better because of the anime-like colouring. There are some captions but too brief. You won't learn much about the characters if you haven't played the games before. Strangely, this book received mixed reviews on Amazon Japan. One complained about the low resolution artworks on pages 189-191, and they are still in this book. Personally, I think it's a good book and fans of the game should check it out. Compared to The Legend of Heroes: The Illustrations, that would be a better book because it has characters and setting. This is how the two books look together.